Lower Austria was significantly affected by Europe’s multi-day deep freeze at the end of April, 2016, which for some estates already rendered anything approaching a normal-sized crop impossible. Seemingly never-ending rain in spring and early summer occasioned unprecedented pressure from peronospora (downy mildew) in many sectors. This nearly omnipresent feature of vintage 2016 in Northern Europe wreaked selective havoc on the flowering, thereby further reducing yields. The effects of localized summer hail can’t be omitted. But considering the nearly catastrophic shortfalls experienced in other parts of their country, Lower Austria’s Grüner Veltliner and Riesling growers were lucky, with some even managing to enjoy average yields. Moreover, in late July, the weather turned – albeit less dramatically than in Germany’s Riesling-growing regions. And “less dramatic” actually meant more favorably. Lower Austria, while warm, dry and sun-drenched from late July through late September, experienced somewhat less late-summer drought stress and sunburn than did German Riesling regions. A disadvantage vis-à-vis Germany was additional autumn precipitation, especially in mid-October. Still, botrytis seldom proved problematic thanks to chilly post-September temperatures. For the most part growers were able to take unhurried advantage of clear, cool conditions, although low yields along with precisely that cooperative weather meant many were finished harvesting well before October’s end. Notwithstanding these shared characteristics, the meteorological challenges of 2016 had varying effects within each of these regions. 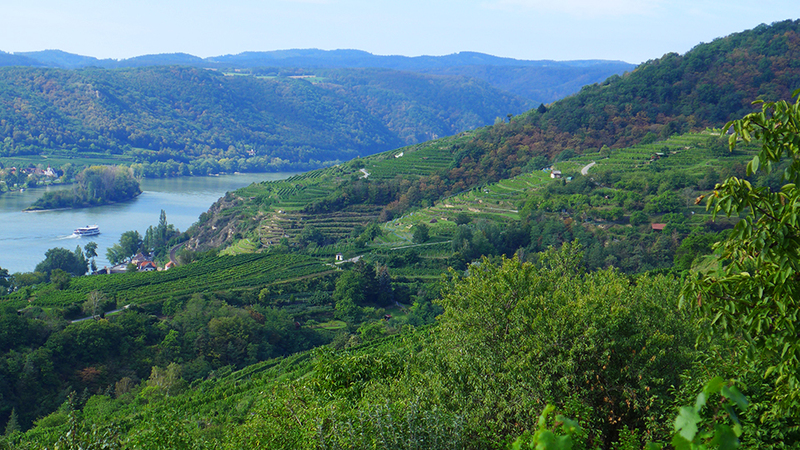 The coolest sectors – notably the Wachau’s westerly Spitzer Graben, where many growers suffered near-total losses – were hit hardest by frost. Generally speaking, the further east one travels, the less the impact of frost (which in the Wagram and Wien was minimal). Excessive spring and early summer rainfall was a constant, but just how much rain fell differed significantly from one sector to another. 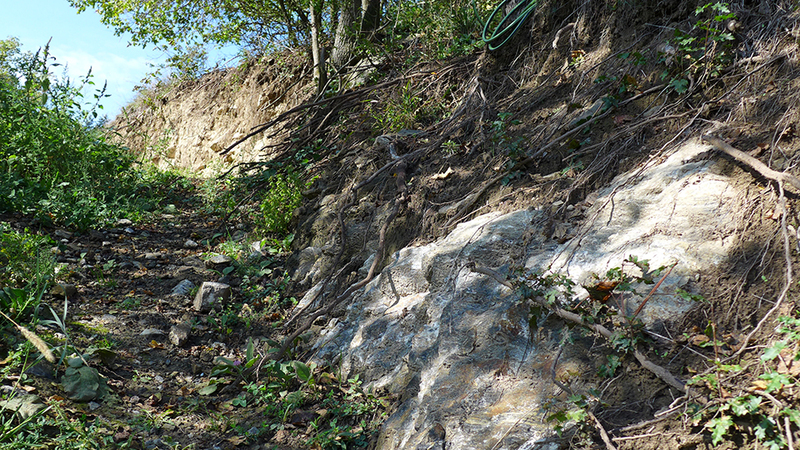 Both loess and Urgestein soils tend to be fast-draining; but ventilation, elevation and inclination often spelled a critical difference not only in how badly one’s vines were hit by peronospora during the rainy season but also in whether one could even reach one’s vineyards with sprays in time to stave off the worst. Unsurprisingly given the nature of 2016’s threats, the vigilance, diligence and viticultural intuitions of the individual grower played a decisive role in his or her eventual yields. In matters of quality, vine stamina – which is highly dependent on age and genetics – was probably almost as important as human talent and terroir, because extended excessive rainfall followed by heat and drought is a shock to vine metabolism. The aforementioned factors having been duly noted, 2016 is nevertheless not like 2014, 2010 or, in its very different way, 2011, all vintages in which there were enormous qualitative discrepancies, and in which inattentive, ill-prepared or just plain unlucky growers were punished with conspicuously deficient quality. In 2016, infant grape clusters that made it through the early summer unscathed stood an excellent chance of becoming – at a minimum – appealing wine. And even where buds were killed by the April frost, the secondary buds, provided they successfully ran the gauntlet of peronospora, frequently formed the basis for eventual ripe fruit, thanks to the opportunity offered by autumn 2016 for a protracted harvest. A single descriptor I heard from one grower after another and found myself using again and again pretty much sums up the 2016 vintage in Austria’s Grüner Veltliner and Riesling growing belt – not just as regards the course of the growing season but also the character of its wines. And that is the German word spannend. It certainly fits the growing season: tense and suspenseful, leaving growers at mid-summer fearing with good reason that 2016 might prove catastrophic. But spannend also means fascinating and exciting, which is how the best wines have turned out. More specifically and literally, spannend means exhibiting tension, and that arguably fits the often taut structure, the fine phenolics and acidity, as well as the animating flavor interplay found in the top 2016s, all features that prove entirely compatible with wines of buoyancy, immediate charm, and silky or even subtly creamy texture. With few exceptions, the 2016s aren’t lush or powerful. Nor must one resort to superlatives in assessing how they look on paper: they are, for instance, not as extreme in acidity, low in must weight or off-the-charts in dry extract as their 2014 counterparts. But they are in organoleptic respects much closer kin to 2014 than to 2015 (and to 2010 than to 2011 or 2012). This is a vintage in which Grüner Veltliner frequently displays a Riesling-like combination of animation and brightness, and in which shared vineyard attributes sometimes trump varietal identity. 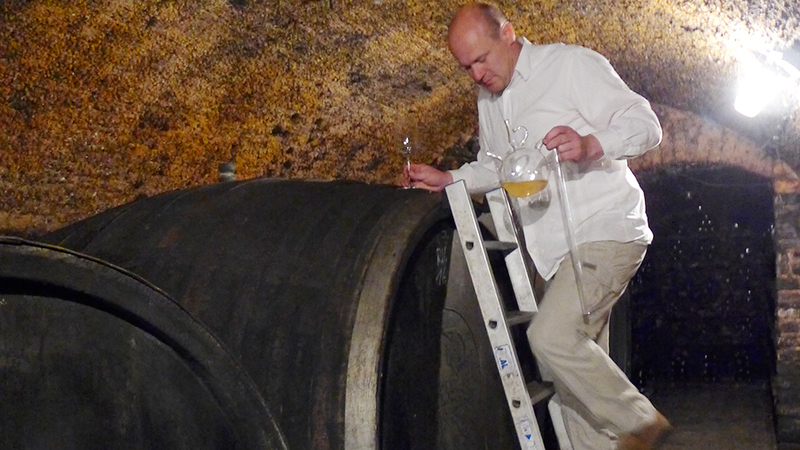 Wagram vintner Toni Söllner draws from his oldest cask (with a great back story) a sample of 2016 "Irden," one of increasingly many exciting Austrian experiments in skin-fermented "whites"
This two-part report is based on visits with 56 growers in September of 2017, as well as on extensive additional tasting and retasting between then and September of 2018. Those subsequent tastings included selected wines – albeit not complete collections – from 23 additional growers, 17 of whose wines merited selective publication of tasting notes. 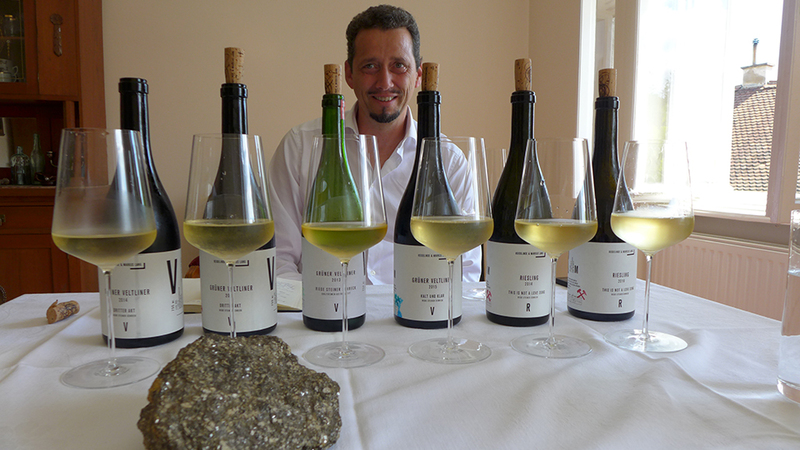 Part Two will cover the Kamptal, Wachau and Weinviertel. Following Vinous practice, notes on any wines – of which there are very few – that were last tasted from tank or cask are accompanied by point ranges rather than by a single numerical score. As usual, notes on wines that I thought justified a rating of lower than 87 points are published only in instances where they nevertheless represent good value, or where I thought it important to publicize my concerns about a particular bottling. By giving their Geyerhof wines increasingly long élevage and late release, Ilse and son Josef Maier are in the vanguard of a trend remarkable in a country that until recently had a justified reputation for vinous "infanticide"